When you truly admire and respect someone and their talent, it is only proper to not only acknowledge it, but to also share it with others whom you respect and admire. My friend Roni is an inspiration behind this image. 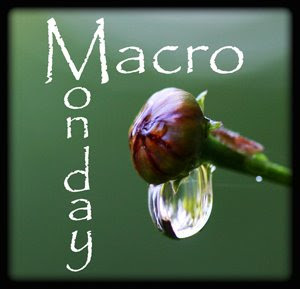 She creates amazing and beautiful macro abstracts which never fail to take my breath away. Sometimes, when I visit her Flickr stream or her blog, I find myself lost in a daydream while staring at her images. She has amazing talent, and she is as beautiful (inside and out) as the images she produces. She inspires me to look closer at the beauty around me and to attempt to capture it to share. I will forever appreciate Roni for her fabulous talent and her generous, caring, loving spirit. This photo is wonderful, Misty. I also visited some of Roni's work, and, you're right, she has a fabulous talent. 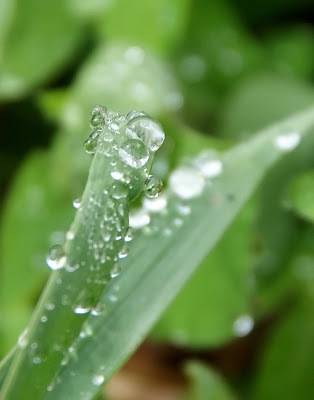 Lovely details of the drops! a beautiful close look at the beauty present! Awesome capture! I LOVE droplets!! I'm with you Misty. Roni is an amazingly talented photographer. What's more, she's an amazing person to boot!